 those with an active role in weekly worship who wish to inform their prayer and prep­ar­ation; those working with the children and young people, leading the intercessions, pre­paring the talk or sermon.  those, whether individually or in groups, who want to prepare themselves for worship Sunday by Sunday, or reflect on the previous week's readings.  those who cannot get to church often, or who receive communion at home or in hospital, and who want to feel more part of the ongoing exploration of Scripture by the rest of the congregation. Susan Sayers is the leading litur­gical writer of our time. Her ability to tease out the message in Scrip­­ture is attested by the enormous popularity of her many books. 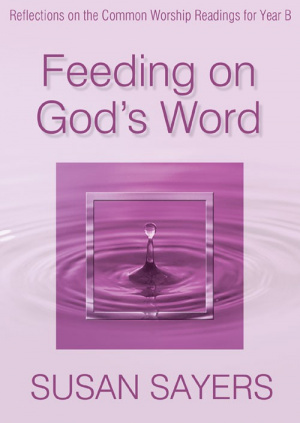 Feeding on God's Word: Reflections on the Common Worship Readings for Year B by Susan Sayers was published by Kevin Mayhew in June 2002 and is our 25034th best seller. The ISBN for Feeding on God's Word: Reflections on the Common Worship Readings for Year B is 9781840039344. Be the first to review Feeding on God's Word: Reflections on the Common Worship Readings for Year B! Got a question? No problem! Just click here to ask us about Feeding on God's Word: Reflections on the Common Worship Readings for Year B.